1. Lace dresses with bell sleeves, or off the shoulders, are essential for a bohemian bride. Pair your dress with flat strappy sandals or opt for no shoes at all. The boho style is all about comfort and effortlessness. 2. Floral crowns, or any type of head pieces, are a must! Pair your crown with effortless hair and you will achieve the laid back boho style. If head pieces aren't your "thing," try adding some cute flowers to your up due or braid. 3. No stuffy tuxedos for the groom and groomsman! Go for slacks and a casual button down. Pair this laid back duo with colorful bow ties, vests, or even suspenders. 4. 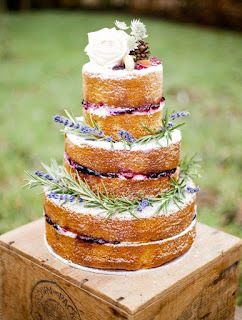 Simple cakes with lots of colorful flowers are very much needed at a boho wedding . 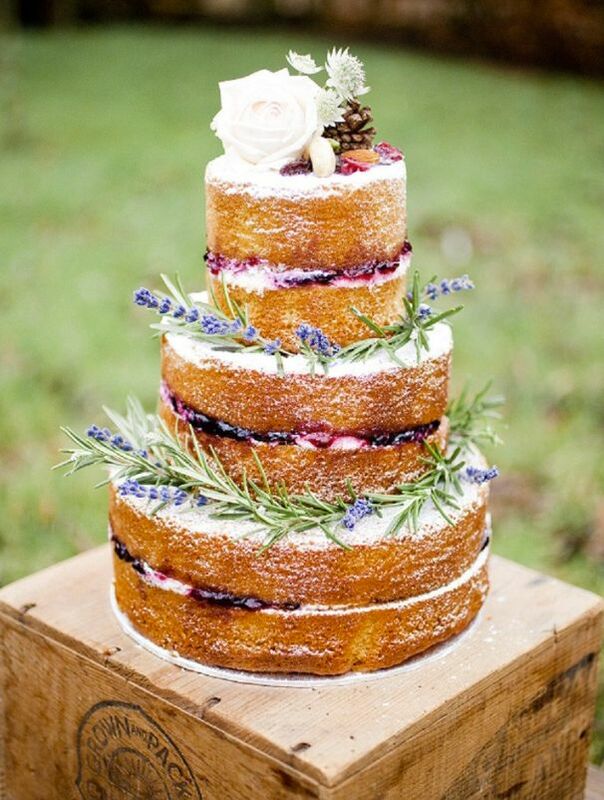 You can even try a naked cake with some shrubbery and fresh fruit for a unique look to your cake. 6. 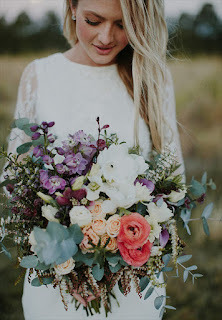 Boho weddings should have lots of flowers. Try going for arrangements that have a bright mix of flowers, lots of greenery, and maybe even some feathers. This great mix would look amazing as a bouquet! 7. Incorporate wooden and vintage details to your decor. 8. Pick a nontraditional venue, like a rustic ranch or a vineyard, surrounded by nature. 9. Have a casual BBQ or a buffet dinner reception. Remember, it's all about being laid back. 10. Most importantly, lots of dancing. Get your guests up and moving with the help of an Edge Sight and Sound DJ. All of our DJs know exactly what to play to get your guests dancing. Boho weddings are all about having fun, and music is very essential to that.